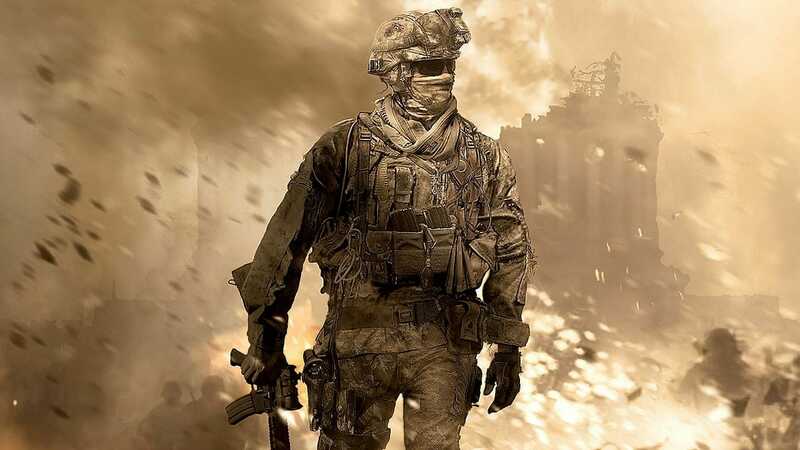 Could Activision be bringing back Modern Warfare after Black Ops is now buried? It seems that we saw the last of the Modern Warfare games on the previous generation of consoles when the story ended with Call of Duty Modern Warfare 3 in November of 2011. From then on the series did come back briefly through the Modern Warfare 1 Remaster that was an exclusive deal with Call of Duty Infinite Warfare Digital Deluxe Editions. While people have been speculating that Modern Warfare 2 Remaster is the next logical step for the series, it seems that Activision is heading forward with Modern Warfare 4. Call of Duty Modern Warfare 4 – The Same Package as Black Ops 4 But for Modern Warfare? The Black Ops series has always had a strong future tone and setting following Black Ops 2 and then Black Ops 3, thats why Black Ops 4 has a lot of futuristic gadgets and devices to use in the game. While Activision showed that they are done with single-player campaigns with Call of Duty, it seems that Modern Warfare 4 could be a throwback to the series and will do for Modern Warfare what Black Ops 4 did for the series. 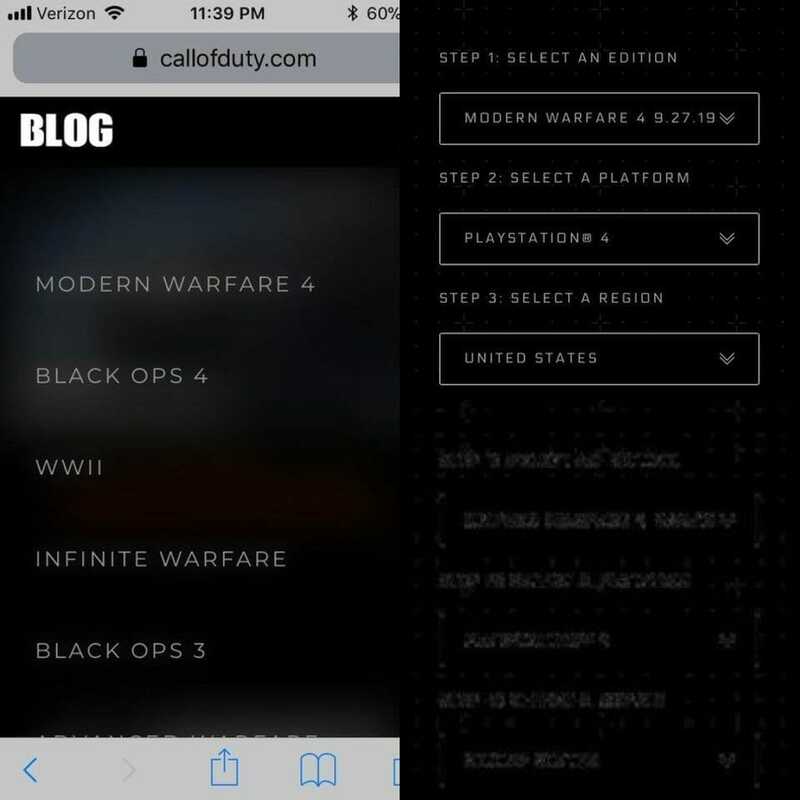 The following image has made rounds on the Black Ops 4 subreddit, and while we know that Call of Duty leaks happen sometime a few months before the year they are supposed to release, this is one early leak. Considering the success of Black Ops 4 and the dedication to multiplayer, zombies and the Blackout game mode which implements the Battle Royale formula into Call of Duty, the series has now gotten a breath of fresh air. The release date for the game is 27th of November 2019 which is always the month when Call of Duty does normally release except in the case of Black Ops 4. Modern Warfare 4 To GIve Boots on the Ground but exclusive multiplayer content? Maybe Campaign? As speculated, will the 4th entry to the series follow in the footsteps of the 4th installment of Black Ops? Considering how futuristic and fast-paced Black Ops 4 is, perhaps Modern Warfare 4 will offer more traditional boots on the ground approach to multiplayer and offer iconic characters from the Modern Warfare universe as characters? For now, as Call of Duty leaks go, this is something that appears to be very legit. Considering that different users were posting the same image only minutes apart, the listing only lasted a few minutes before being fixed. There was also a heavy rumor last year when Craig Fairbrass, the voice actor for Gaz and Ghost accidentally listed Modern Warfare 1/2/3/4 on his twitter bio and quickly fixed the error. There are also plenty of leaks and reports that occurred during the start and mid of this year that do suggest the return of a campaign with the return of several Respawn Entertainment employees coming back to Infinity Ward. Respawn comprises of a majority of the crowd of people who worked on the early Call of Duty games and there is strong speculation to suggest that there could be a campaign mode added with Modern Warfare 4. Call of Duty has had a history of never having wrong leaks, but we still recommend some heaping amounts of salt with this news.